We are a collective of freelance strategists & designers. Some of us have worked together for years & others come from partnerships we've built with creative shops. Together, we are driven to help our clients in their missions to make the world a better place. Below is our core team. Every project we do engages the right combination of team members from this core team and our broader collective. Cecili has nearly two decades of experience leading mission-driven campaigns with organizations including Amnesty International USA, RESULTS Educational Fund, and the National Partnership for Women & Families. She loves to help smart and passionate changemakers build strategic and effective campaigns. A strong believer in continually building power and capacity, Cecili has trained thousands of campaigners on how to maximize their impact within their organizations and in the world at large. When she's not strategizing, she can be found freezing at an ice rink with her skating daughters or running slowly in a forest. Erica champions powerful collaboration with others, resulting in high impact creative work in the world, bringing a balance between intuition, experienced know-how and playfulness to her process. With a background in large-scale feature film, television and commercial production, combined with experience in creative strategy and development, her projects are known for their social impact, polish and emotional resonance. She is the producer of the viral (35 million views) Story of Stuff project, and is a member of the Producers Guild of America (PGA). When not producing content, she is hiking the hills of Northern CA with her husband, and enjoying the arts and culture of the Bay Area. One part strategic thinker, one part go-getter, Lilli brings a passion for helping clients see their mission to fruition. She blends strategy, empathy, research and copywriting to help clients connect with their ideal audiences. When she's not working, she's dancing the Argentine tango and cooking. Maha is a campaign and social change strategist with over a decade of experience working on civil and human rights, particularly in relation to the War on Terror. She is the Michael Ratner Middle East Fellow at the Institute for Policy Studies and an experienced organizer with a variety of justice groups including Witness Against Torture and the DC Justice for Muslims Coalition. 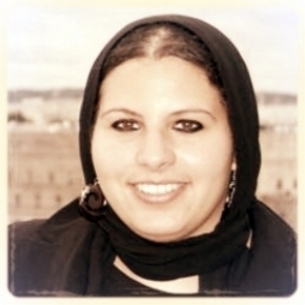 Dr. Hilal earned her doctorate in May 2014 from the Department of Justice, Law and Society at American University. The title of her dissertation is "Too damn Muslim to be trusted": The War on Terror and the Muslim American response. Cary is a social impact designer and founder of Bramble Lab, a design firm that’s passionate about furthering educational equity in Baltimore, MD. He carries a Master’s in Social Design from MICA, and has created designs for the Baltimore Campaign for Grade Level Reading, Under Armour Performance Center, SOM and others. When he’s not working, he can be found contra dancing or climbing a rock. Eva is a social impact designer, an ultimate frisbee player, and a chocolate chip cookie wizard. She believes that good design comes from community-based collaboration and intersectional analysis. Eva is passionate about social justice, youth empowerment, emotional intelligence, and team building. She geeks out on visualizing complex systems, discussing social-emotional health, and facilitating uncomfortable conversations. Eva holds a BA in Studio Art from Bard College and a MA in Social Design from Maryland Institute College of Art. She hails from Seattle, Washington. Esther is a strategist who is enthusiastic about systems change. She is currently an instructor at General Assembly, faculty at Center for Asian Pacific American Women, and founder of studio e.y.k. – a strategy firm that partners with teams in the public and social sectors to discover and realize solutions to complex, hairy problems. Esther served as the inaugural Designer-in-Residence at the White House Initiative on Asian Americans and Pacific Islanders under the Obama Administration, focusing on organizational and programmatic design and implementation. Previously, she worked in philanthropy, public administration, and local government creating community-centric programs in LA, San Francisco, and Chicago. Esther is currently based in Baltimore, MD. Eliot works long hours as Outreach Manager (and de facto Head of Security), scanning the street for invading canines, demanding daily belly rubs from her coworkers, and confirming that all food is cleaned off the floor immediately. Eliot joins our team from The Lost Dog and Cat Rescue Foundation and encourages anyone in need of an Outreach Manager to check out their adoptions page.